Someone once said the coolest toys are built, not bought. This is the kind of person the fluid power industry wants working in it, and why it has a Fluid Power Vehicle Challenge to draw them in. This is Part 1 in a series dedicated to drawing employers’ attention to people in the process of becoming passionate about hydraulics and pneumatics. Businesses that make their money on all things related to those terms look to people like Parker, a 50-year veteran of the industry, to help them pump young blood back into their organizations so they can stay competitive in their booming business. As an industry recruiter, he learned to bypass high school counsellors and enter the back doors of their buildings with the help of contacts like shop teachers and automotive instructors. He didn’t enter without toys. If toys work on high school kids, why not university students? 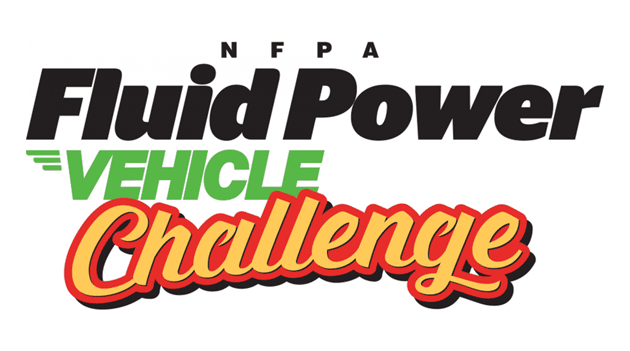 That’s the thinking behind the National Fluid Power Association’s Fluid Power Vehicle Challenge. This year the competition will be held at the IMI Norgren facility in Littleton, Colo. NFPA has invited teams of engineering students from universities across the country to compete against each other in developing the best vehicle powered by hydraulics or pneumatics. Fifteen universities have registered to compete in this year’s program, which is organized by semester. In the first semester of the Vehicle Challenge, teams are introduced to judges and mentors from the industry as they learn about fluid power components, circuits, and systems, along with their use in controlling force and motion. They also develop supply chain experience by ordering components from the parts suppliers as they begin planning for the Design and Specification Midway Review. This is often an underappreciated aspect of success to a first-time entrant in this competition. “Supply chain represents a big learning experience for many teams,” says Lynn Beyer, director of workforce development programs for the National Fluid Power Association. Standard components do offer breathing room, however, if there is a delay in shipping a part. Ernie Parker (glasses and light gray shirt) is a well-known and respected recruiter of young talent for the hydraulics and pneumatics industries. Here he is doing what he loves best: introducing high school students to the fun of connecting with fluid power. Aside from his role as an industry educator and recruiter, Parker also served as a technical liaison for participants in the Vehicle Challenge. During the Midway Review, students present their initial designs and mechanical drawings illustrating the fluid power control circuits to be created for their vehicles. They also present results from their analysis of fluid flow and expected performance. Parker believes this goes beyond what most engineering students learn in their normal curricula. But if they were to analyze what they were doing they’d realize that hydraulics may not be the best solution for this type of vehicle. And that’s the point of the Challenge: They must try to make it the best. Because these vehicles are lightweight, Challenge competitors soon realize a hydraulic pump typically isn’t made for the low horsepower matched to it. In a previous challenge a vehicle with pneumatics on it did very well. And pneumatics may get more attention in the 2018-2019 competition, as Bimba Mfg. Co.—a pneumatics company that’s part of IMI Precision Engineering—is the event host. It won’t be surprising if more students come out of this competition knowing more about the workings of air motors. Certainly, they will if Kent Sowatzke has anything to say about it. And as vice president of engineering at Bimba and one of the Challenge judges, he already has. “We’ve been talking to the NFPA about figuring out a way where pneumatics could be added to this event,” he says. “Over the years Bimba has been a gold or platinum sponsor to the robotics competition for the high schoolers and I think half the teams use pneumatics. Aside from the vehicle weighing less than 210 lb, design parameters are fairly fluid. It can be one, two, three, or four wheels, as long as there’s a fluid link between the operator and the wheel. The pumps used need a minimum of 600 rpm to ensure adequate efficiency. 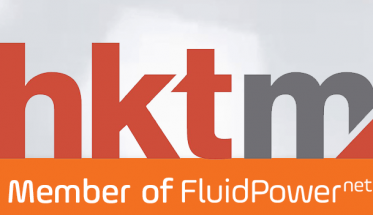 “There are pumps that work well at low speeds but they’re more expensive, and there’s usually a budget constraint against high-end piston pumps that can cost $3,000,” Parker explains. Teams consisting of both juniors and seniors may have an easier time competing from year to year, as juniors who become seniors the following year already know what to expect from the competition. This also makes them effective mentors and supply chain managers. Those are the kind of problem-solvers who will change our world for the better, both its business and its ecology. Parker believes that if those experts had come out of our trade and engineering schools years ago we’d be driving hydraulic cars instead of electric hybrids. It’s much more efficient. And though a bike may not be a practical application for hydraulics, it may be a good platform on which young engineers can learn problem-solving. Last year’s competition produced a three-wheeler equipped with a 2½-gal accumulator, enabling it to lay rubber for more than 3,000 ft.
Quality design is proven by performance. When the hydraulic vehicle competition was purely a bike competition, the poorly designed ones were hard to pedal. 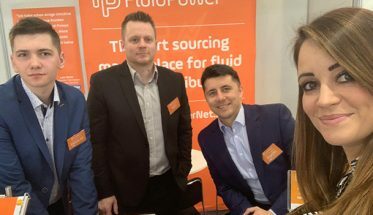 With more industry mentors like Ernie Parker offering these teams of future industry professionals their input, you can bet fluid power as an engineering solution will be a lot easier to peddle. Paul Swenson, general branch manager for Certified Power Solutions in Burnsville, Minn., needed a mechanic for his shop—someone who knew his way around hydraulics. Parker is the matchmaker who introduced them to each other. As an adviser during last year’s Fluid Power Vehicle Challenge in Ames, Iowa, he got to meet many engineering students as they scrambled to reinvent the bike using the unlikely component of hydraulic power. Semmami and his team stood out from the crowd. Although they didn’t win the top prize with their vehicle (dubbed the “Hydroller,” the fusion of “hydraulic” and “roller,”) they were recognized for exhibiting the best teamwork in solving a technical glitch that threatened to keep them from the finish line. Amr, in particular, impressed Parker. Paul Swenson, general branch manager for Certified Power Solutions in Burnsville, Minn., with his “find” from the National Fluid Power Association’s Fluid Power Vehicle Challenge: Amr Semmami, mechanical engineer and graduate of West Virginia University Institute of Technology. The Fluid Power Vehicle Challenge has always required its contestants to engineer a fluid link between the operator and the wheel. When the rider pedals it, a hydraulic pump moves fluid into a hydraulic motor, causing that motor to rotate. That energy is transferred to the back wheel to help propel the bike and its rider forward. Last year that powertrain was opened up to chains and gears, but the fluid link was still key. Strangely, it could have been the chain that trained the judges’ attention on Semmami’s team. It broke. Semmami’s team equipped its “Hydroller” with regenerative braking, enabling the bike to stop by capturing the energy stored in a hydraulic accumulator (in the form of pressurized hydraulic fluid). The controlled release of this fluid to the hydraulic motor which spins the back wheel also helps propel the bike without pedaling. (The team, left to right: Semmami, Manuel Serrano Laguna, Geoffroy Gauneau, Matthew Pittman, and Dr. Yogendra Panta [advisor]). That initiative showed in how Semmami competed for the job Swenson advertised. As soon as Semmami earns his certification in hydraulics at Hennepin Technical College(where Parker is on the Board of Directors), Swenson plans to move him right into an engineering opening at his company. 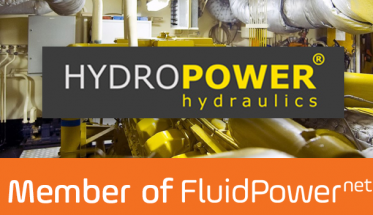 The Hydraulics Industry’s gain is the renewable energy industry’s loss. That’s where Semmami was heading before taking a detour via the Hydraulic Vehicle Challenge. Semmami was also impressed that Swenson would consider taking a risk on someone who wasn’t hydraulics-certified yet. But this young engineer thinks his boss’s resolution to be more creative in hiring talent is a good one.